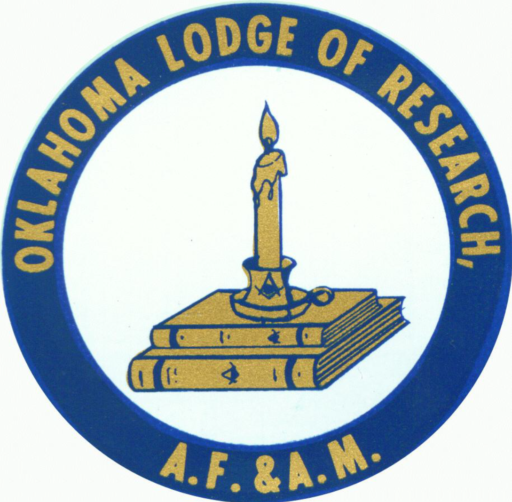 The Oklahoma Lodge of Research is organized to promote, encourage, conduct and foster Masonic research. Members will study and record Masonic history, philosophy and related subjects for the purpose of spreading Masonic Light and Knowledge. The name of this Lodge shall be the Oklahoma Lodge of Research (OLR). SECTION 1. Stated Communications: Stated Communications shall be held on the fourth Saturday of the months of January, March, June and September at 10:30 a.m. either at the Grand Lodge or in any constituent Lodge of the Most Worshipful Grand Lodge A.F. & A.M. of the State of Oklahoma. SECTION 2. Annual Communications: The Annual Communications of the Lodge shall be held in September, at which time the Officers and Committees shall present their reports to the Lodge for approval (and shall give the OLR Secretary a copy in writing), and the election and installation of officers shall be held. SECTION 3. Special Communications: Special Communications of the Lodge, on call of the Worshipful Master, may be held in the hall of any constituent Lodge of the Most Worshipful Grand Lodge A.F. & A.M. of the State of Oklahoma, upon invitation of the host Lodge. Seven days notice of all such Special Communications shall be given all regular members of the Lodge of Research by regular U.S. Mail. SECTION 2. Regular: Regular, or voting, members shall be Master Masons who are in good standing in regularly constituted constituent Lodges holding allegiance to and working under the Grand Lodge of the State of Oklahoma. SECTION 2.1. Within the framework of both Active and Associate members, those members who distinguish themselves by contributing to the Masonic light of knowledge and education of its craft will be recognized by the Oklahoma Lodge of Research as a Full Member or a Fellow in Masonic Research. The criteria for recognition will be governed by the Lodge of Research and controlled by its membership. Papers for consideration must be concerned directly with Freemasonry and acceptable for presentation and publication by the Oklahoma Lodge of Research as stipulated in the bylaws of the Oklahoma Lodge of Research. Typical subjects: the history of Oklahoma Masonry; its Lodges, active or defunct; biographies of distinguished Masons; Masonic ceremonies, customs, or practices; speculative or operative philosophical aspects of Freemasonry; and Masonic subjects of general or special interest to the Fraternity. SECTION 2.1.1. Full Member: A member who has been chosen by vote of the OLR, upon recommendation of the Board of Trustees, for having written and presented a Masonic paper at a meeting of the Oklahoma Lodge of Research and had it published by the OLR or for other accomplishments in any field within the purposes for which the OLR is created, as defined by the Screening Committee and upon a majority vote of members present at a Stated Communication of the OLR. Full Memberships may continue only as long as such member is in good standing in a constituent Lodge of this jurisdiction or of a jurisdiction in fraternal relations with this Most Worshipful Grand Lodge A.F. & A.M. of the State of Oklahoma. SECTION 2.1.2. Fellow in Masonic Research: A member who has been chosen by vote of the OLR, upon recommendation of the Board of Trustees, for having written, submitted and published two or more articles, or for having written and presented a Masonic Volume to the Oklahoma Lodge of Research and had it published by the OLR, or for other accomplishments in any field within the purposes for which the OLR is created, as defined by the Screening Committee and upon a majority vote of members present at a Stated Communication of the OLR. Fellow in Masonic Research may continue only as long as such member is in good standing in a constituent Lodge of this jurisdiction or of a jurisdiction in fraternal relations with this Most Worshipful Grand Lodge A.F. & A.M. of the State of Oklahoma. Any member who receives this honor must reimburse the OLR for the cost of the Apron thus presented to him. Only one of these memberships may be given in any one given year, “Fellow in Masonic Research” in recognition of distinguished service. SECTION 3. Associate: Associate Members shall be those Master Masons in good and regular standing holding membership in any Grand Lodge recognized by the Grand Lodge of the State of Oklahoma. Associate members have no vote and cannot hold (an) office. In all other respects they have the same rights, privileges, duties and responsibilities. SECTION 4. Corresponding: Corresponding members shall consist of those Lodges, Grand Lodges, Masonic Clubs, Masonic Appendant Bodies, or other recognized Masonic groups. SECTION 5. Applying for Membership: Regular, Associate and Corresponding members are to make written application, present satisfactory evidence of their good standing and such other information as may be required, and shall be elected by a unanimous ballot in a Stated Communication. SECTION 1. Officers: The officers of the OLR shall be: Worshipful Master, Senior Warden, Junior Warden, Treasurer, Secretary, Chaplain, Senior Deacon, Junior Deacon, Senior Steward, Junior Steward and Tyler. The first five shall be elected during the Annual Communication in September with the remainder being appointed by the incoming Worshipful Master. SECTION 2. Qualifications: The qualifications of the officers shall be in accordance with the laws governing regular constituent Lodges of the State of Oklahoma. SECTION 1. Committees: The following committees shall be active in the OLR so that the normal business of the Lodge will be conducted throughout the year. SECTION 2. General Purpose: This committee shall be composed of three members, appointed for terms of one, two, and three years, initially; with the incoming Worshipful Master appointing a member to serve three years. The duty of this committee is to formulate a program of activities and scope of work, which shall be presented to and approved by the OLR. SECTION 3. Screening Committee: This committee shall be composed of three well qualified members initially appointed for terms of one, two, and three years, thereafter one member appointed by the incoming Worshipful Master for a term of three years. The duty of this committee shall be to examine each item before it may be submitted for publication or distribution for determining suitability and historical correctness. SECTION 4. Finance Committee: This committee shall be composed of the Worshipful Master, Senior and Junior Wardens, Treasurer, and Secretary, and Junior Past Master. The Worshipful Master shall serve as Chairman of this committee. It shall be the duty of this committee to oversee the finances of the (OLR); periodically examine the books of the Treasurer and Secretary; audit all expenditures; (including the Books Sales Committee) and make a report in writing at the Annual Communication as to the financial condition of the Lodge. SECTION 6. Other Committees: The Worshipful Master may appoint such other committees as may be deemed necessary. SECTION 1. Scope: The purpose of the OLR is to collect, study and prepare items on Masonic or closely related subjects, and preserve the same in the archives of the Most Worshipful Grand Lodge A.F. & A.M. of the State of Oklahoma. SECTION 2. Degrees: Degrees may not be conferred by the OLR. SECTION 1. Fees: Fees shall be $25.00, payable with the petition of affiliation and shall cover the member’s dues for the current year. SECTION 2. Dues: Dues shall be $25.00 per year, payable in advance and shall be for the calendar year. When a Member’s dues are not received within nine months time, the member may be dropped from the membership rolls by the OLR Secretary without further notice. SECTION 3. Non-Payment of Dues: When dues have not been paid for a year then the member’s name shall be dropped from the rolls by December 31 of the year to which dues have been paid. Reinstatement shall be made immediately upon payment of the annual dues for the years in question. SECTION 4. Dues For Reinstatement: The dues for reinstatement of a member who has become inactive, for whatever reason, shall be $25.00, payable with the application for reinstatement. SECTION 5. Funds: All annual dues and other funds collected by the OLR shall be used for the necessary operational expenses and for the publication of papers, proceedings, and other projects as approved by a vote of the OLR. SECTION 1. Finance Committee: The Finance Committee shall make recommendations to the Lodge concerning any expenditures or investment of funds and such recommendations must be approved by a majority of the members of the Finance Committee. SECTION 2. Expenditures: All expenditures or investments of OLR funds must be approved by a two-thirds majority of members present at the Stated Communication when presented. SECTION 3. Maximum: Any proposed expenditure of funds that would exceed $500.00 (except publications recommended by the Screening Committee or for books to be sold by the Book Sales Committee, these must be agreed to by the OLR Secretary and Treasurer, then ordered by the Treasurer and shipped to the Secretary who shall inventory such items and give them over to the Chairman of the Book Sales Committee) must be referred to the Finance Committee. All such referrals will be evaluated by the Finance Committee and a recommendation presented to the membership at the next regular Stated Communication of the OLR. A two-thirds majority vote of members present at that meeting is required to pass said action, and then only after such proposition, setting forth fully the class and character of the expenditure proposed, has been read in Lodge at the preceding regular Stated Communication and the membership has been notified, by regular U.S. Mail, at least thirty days in advance of both Stated Communications. SECTION 4. Perpetual Funds: Perpetual Memberships will be invested through the Grand Lodge A.F. & A.M. of the State of Oklahoma. The shares to the Grand Lodge will be 33% of the annual dividends. SECTION 1. Publications: The Lodge may at convenient intervals, publish its proceedings and transactions, and in whole or in part, addresses, studies, articles and discussions of the Lodge, such other materials as the Screening Committee may elect, subject to approval by the Lodge of the expense of such publications. SECTION 2. Receipt of Publications: All members in good standing, of all classes, are entitled to receive the publications of the OLR, but when the expense of publications of any material may appear to be beyond the ability of the Lodge to pay from its treasury, a charge in an amount sufficient to defray the cost of said publication, may be made for such material, but no member is obligated to purchase such publications. SECTION 1. Amendments: Amendments to these By-Laws may be presented at any Stated Communication, and action there on may be had at the next Stated Communication. SECTION 2. Notice of Changes: Notice of proposed amendments to the By-Laws shall be sent to all regular members at least thirty days prior to the Stated Communication upon which they shall be acted. SECTION 3. Approval: Approval of amendments shall require a two-thirds majority of those present. These By-Laws were approved by a unanimous vote on September 23rd, 2006.